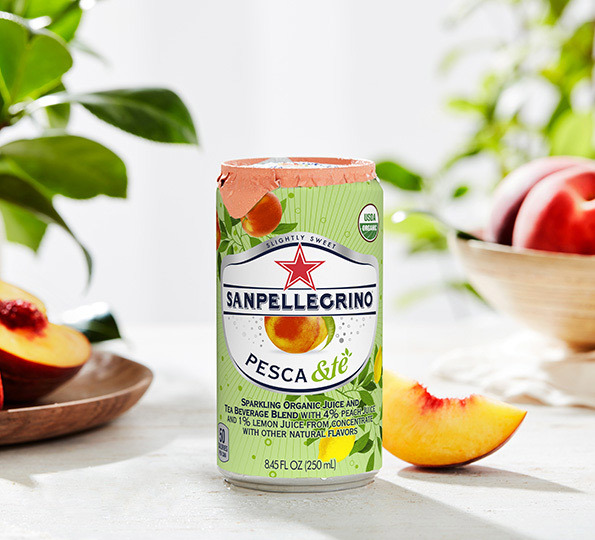 Break away from your busy routine with Sanpellegrino® Pesca &tè, the sparkling organic juice and peach tea beverage blend from Sanpellegrino®. 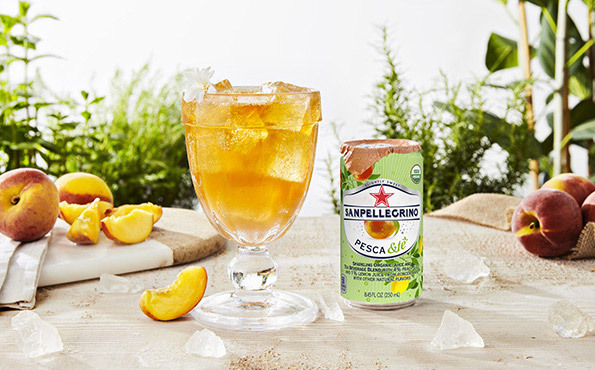 Celebrate moments of escape and enjoy a refreshing experience with Sanpellegrino® Pesca &tè. 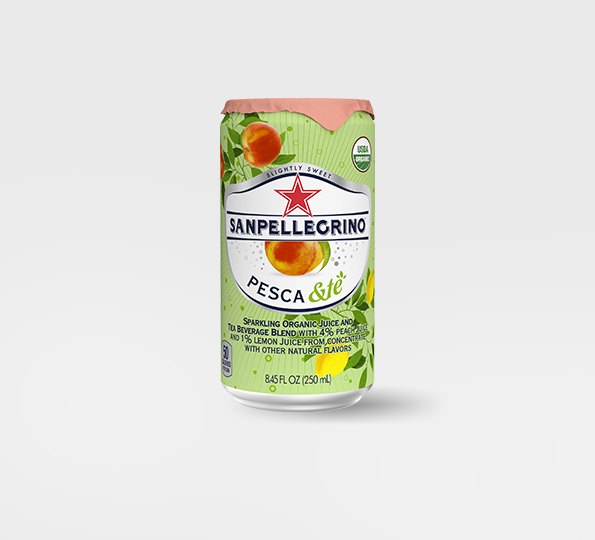 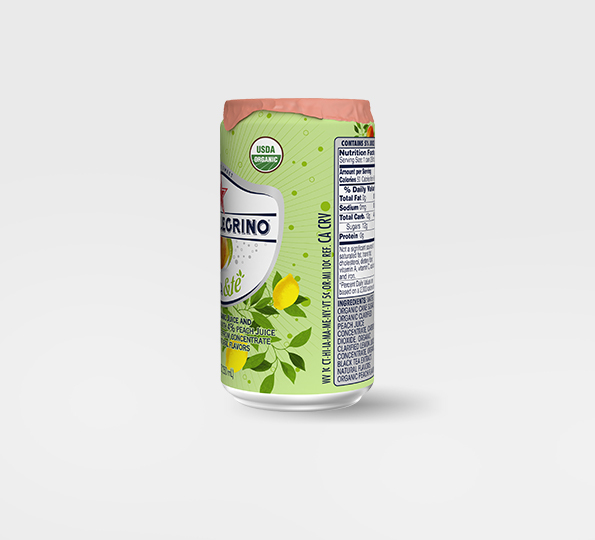 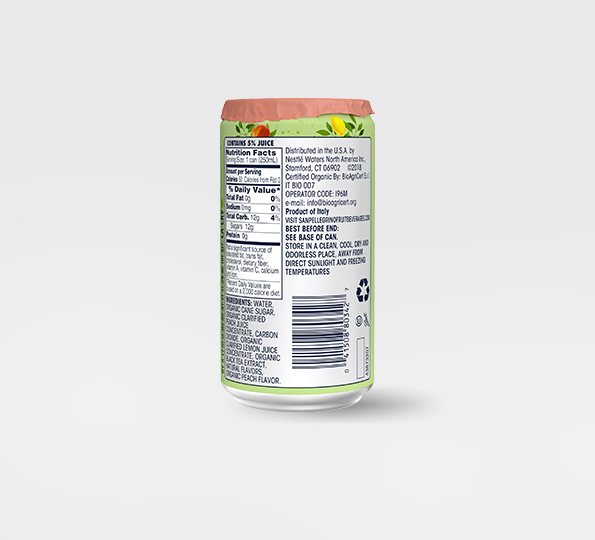 Always on the right side of sweet, Sanpellegrino® Pesca &tè has 50 calories per can. 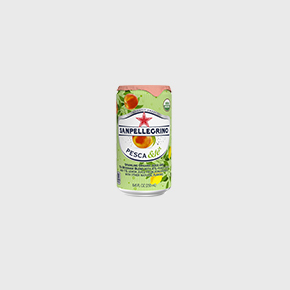 There are no artificial colors or preservatives – just authentic flavors from Italy. 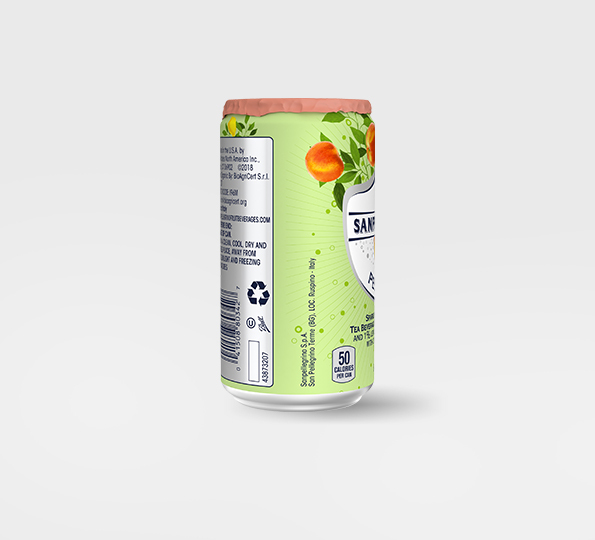 Water, Organic Cane Sugar, Organic Clarified Peach Juice Concentrate, Carbon Dioxide, Organic Clarified Lemon Juice Concentrate, Organic Black Tea Extract, Natural Flavors, Organic Peach Flavor.